They don't make them like they used to. Case in point, the Stingray Split Window Coupe. The 1963 Corvette Stingray Split Window Coupe was the brainchild of Bill Mitchell who was the Vice President at GM's Design Center. He created several classic icons between 1958 and 1976 including the Stingray, XP-755 Shark and the Mako Shark II. The 1963 Corvette Stingray with Split Window Coupe was "almost" never made. 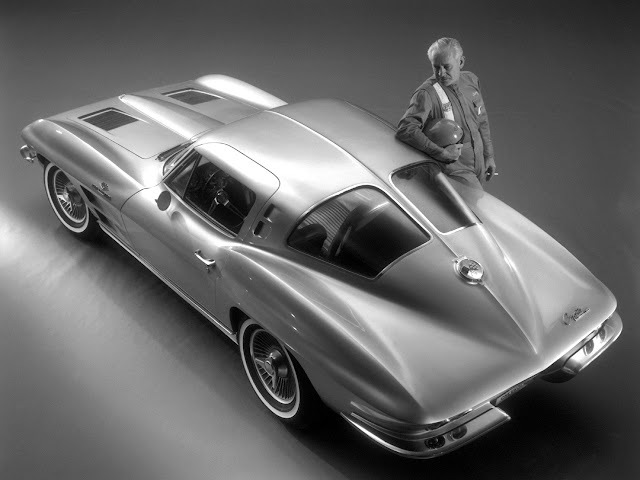 Zora Arkus-Duntov, Corvette's chief engineer didn't like the split rear window because it blocked rear vision, but Bill Mitchell thought it to be a key part of the entire design. We couldn't agree more! So glad Bill Mitchell put his foot down. What a great car. Perfection does exist. 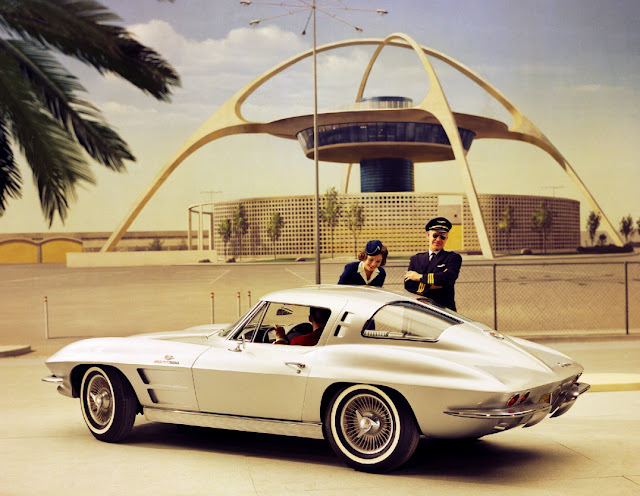 Below: the 1963 Corvette Stingray with Split Window Coupe is pictured in front of the Los Angeles Airport Theme Building.